With the new website www.movingexperience.eu comes the opportunity to share some of my pictures with you. 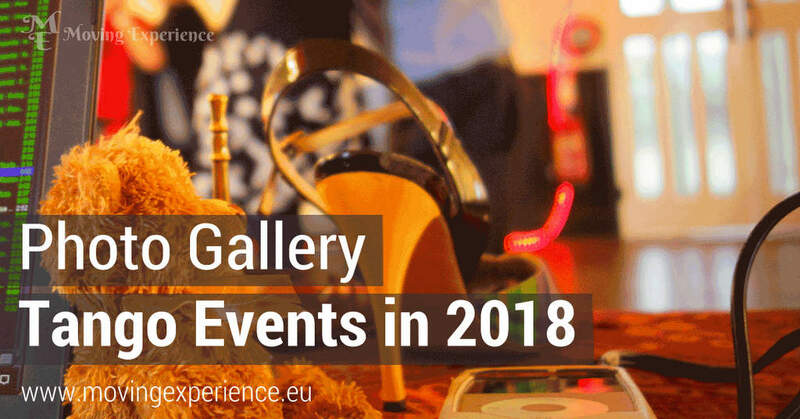 This particular gallery will show some snapshots from tango events in 2018. I might have been teaching. For sure there will be photos from The Magic Roundabout Milongas organised by Paul Strudwick & Bärbel Rücker (me). Or just photos where I have been enjoying dancing myself. I am very much looking forward to seeing this gallery grow. You will be able to see those pictures here as well as on my Instagram account and on my Facebook Pages Moving Experience & Tango DJ Bärbel Rücker. How to pronounce my name : bear + bell! On our way in my yellow van! Last tanda at The Magic Roundabout Sunday Service Milonga. Dancing at The Magic Roundabout Milonga. Impressive sky at Newland Village Room before a private tango class. Tango & Feldenkrais Flyer in Newland. Tango & Feldenkrais flyer in Lydney. The first bluebells at Watney Hall caught after the milonga! Going shopping for The Magic Roundabout Spring Special. First soup for The Magic Roundabout Spring Special. On our way to The Magic Roundabout Spring Special. A surprise guest at my tango class in Newland! DJ&#039;ing @ Three Counties Tango Milonga! Spot the PA system (speaker) provided by Paul Strudwick! During the last tango of the Three Counties Tango Milonga by Chris Dunn. PA system by Paul Strudwick.